My piano lessons for children stretch their ability in a healthy way, with an encouraging style that fosters their enthusiasm and confidence. 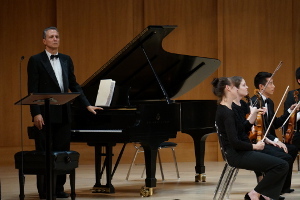 My name is Ian Flint and I am a pianist and piano teacher with over 25 years professional experience in music. For more information about me and my musical experience please see the about section of this website. The general consensus is that seven or eight years old is the optimum age to begin piano lessons. 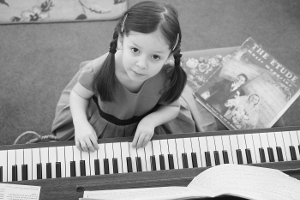 However, to begin at five or six can be perfectly suitable for some children, especially if they can read quite well and are already showing an enthusiasm for the piano. It is a disadvantage if your child is not yet able to read, as some text is involved in the tutor books, and indeed the music notes are named after the first seven letters of the alphabet. 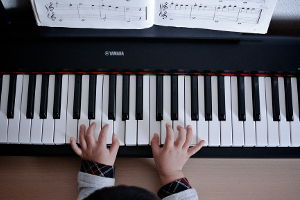 Although there are some admirable music education systems specialising in introducing music to pre-school children (normally in groups) it would not generally be recommended to commence one-to-one piano lessons for a child under the age of five. Nonetheless, there are always exceptions, and I would be happy to advise you if you have a younger child who is really showing a musical aptitude, even if they can’t yet read. There are of course ways of developing them even at that age, but I would always be honest with you if it would be in your child’s best interests (and indeed your financial best interests!) to wait a year or two. At the other end of the spectrum, starting after the age of eight is also fine. 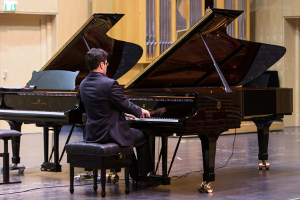 A friend of mine only began playing the piano at the age of fourteen, yet went on to study at one of the major conservatoires and is now a superb pianist and teacher. What happens in the first piano lessons? It goes without saying that children at different ages require different approaches. With younger kids in particular I like to make the first lesson light and stimulating, encouraging them to explore the full range of the keyboard, introducing the musical alphabet in a fun way, and showing them how to pick out a favourite tune or two. Although I’m adamant that establishing an effective hand position and good sound quality are vital from the very beginning (trying to correct or amend these things later can be a torturous process! ), these aspects are introduced in a natural way that appeals to the imagination of the child, according to his or her age and interests. 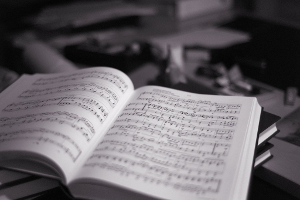 By the second lesson I will normally have chosen or recommended a suitable piano tutor book, so we can start to read the notes on the page. 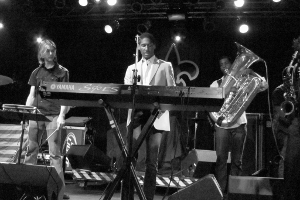 By now we have really embarked on the musical journey! From then on we will go at a speed which encourages optimum progress without becoming uncomfortable for your child. Is learning the piano easy? Yes and no! One of the reasons for the continued popularity of the piano is that it is easier than most other instruments in the earlier stages to play the correct notes and make a reasonably nice sound. String, wind and brass instruments are more difficult to control at first. On the other hand, because we can play full harmonies on the piano (limited or impossible on non-keyboard instruments) the texture of piano music is more complex than for other instruments, which creates its own challenges. Moreover, as we make progress and refine our sound, we have to work hard to overcome the fact that the piano is a percussion instrument, meaning that each note starts to fade once we have played it. This remains a challenge even for concert pianists, but the best of them are almost magicians at linking the sounds together seamlessly. Overall, however, the piano remains probably the most approachable, versatile and rewarding instrument your child could play. 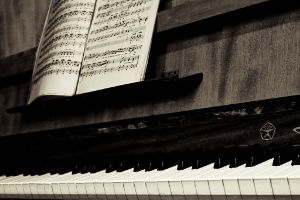 The fact that more people take up the piano than any other standard classical instrument speaks for itself. Are you DBS (CRB) checked? Yes, I hold a fully enhanced, current DBS (formerly CRB) certificate. £40 per hour, £25 for 30 minutes, £33 for 45 minutes. Durations longer than an hour are possible for advanced students. For younger children, 30 minutes is normally enough; for other students, 45 minutes or an hour is usually more appropriate. There’s a small extra charge, to cover travel distance and time, if the lessons are in your home.